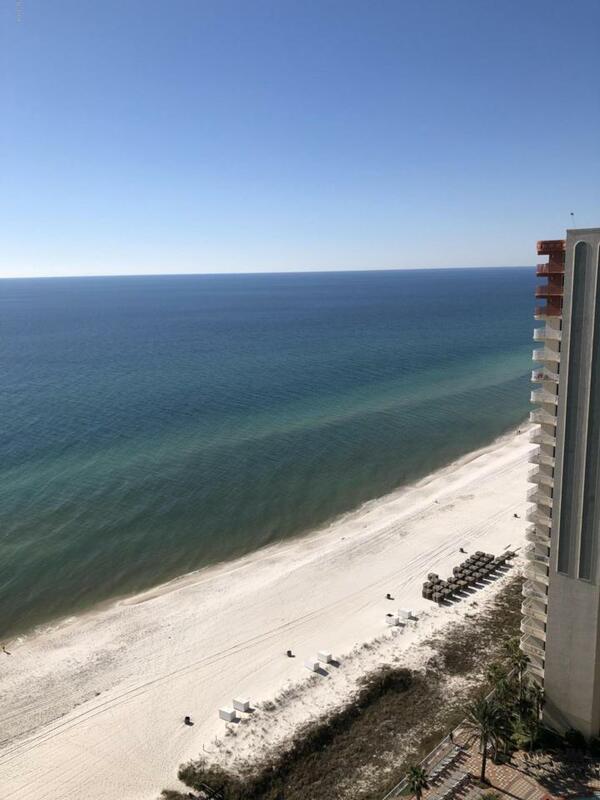 Beautifully furnished one bedroom, two bath with bunk room condo overlooking the Gulf of Mexico. 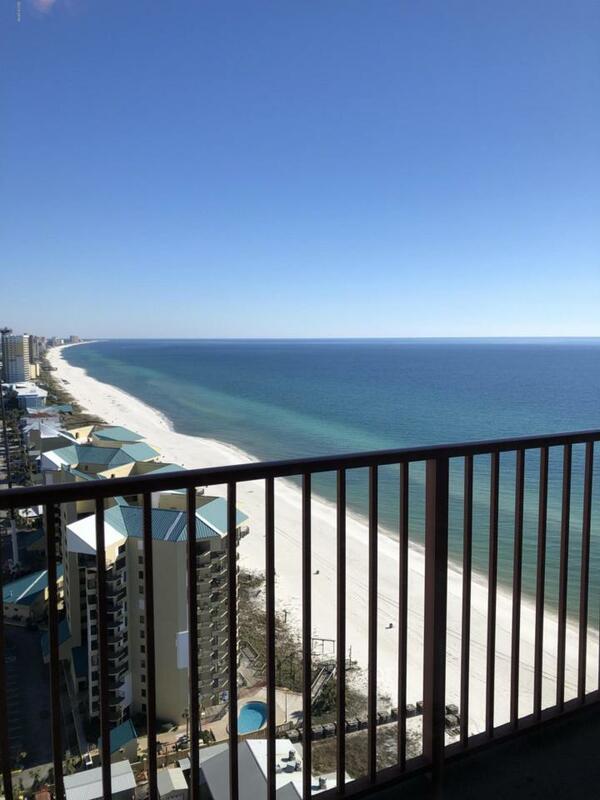 This Penthouse level unit offers Gulf views from the bedroom and living areas. 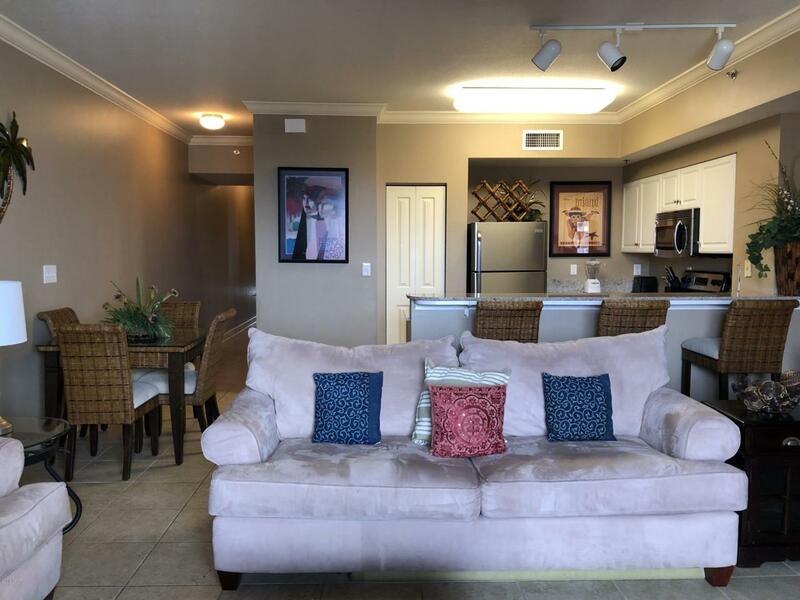 The interior features upgraded granite, stainless steel appliances, upgraded kitchen cabinetry and crown molding. This unit is very well maintained. Shores of Panama is centrally located to shopping, restaurants and entertainment. 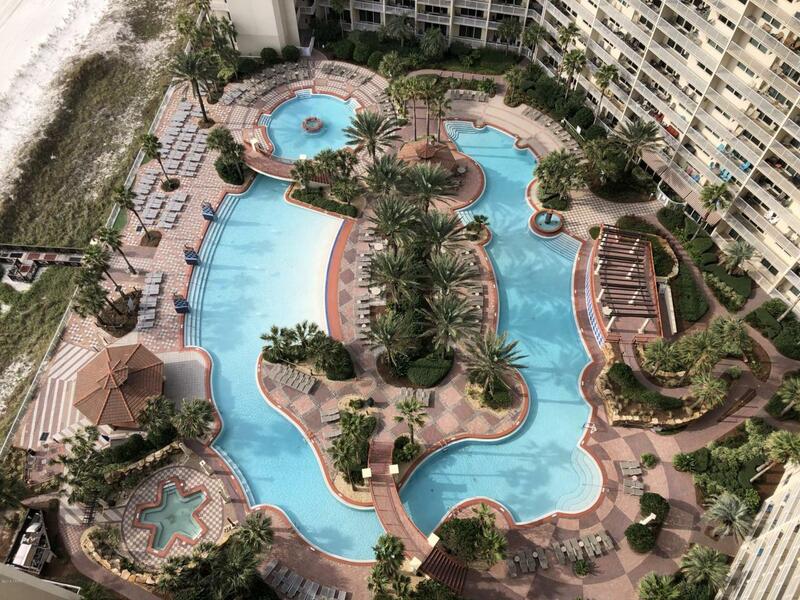 The resort amenities include expansive beach frontage, large Lagoon style pool, an indoor heated pool, fitness center, spa, tiki bar & grill, and summer activities that are fun for everyone.